I don’t know about you guys, but I’m a total wine-o. 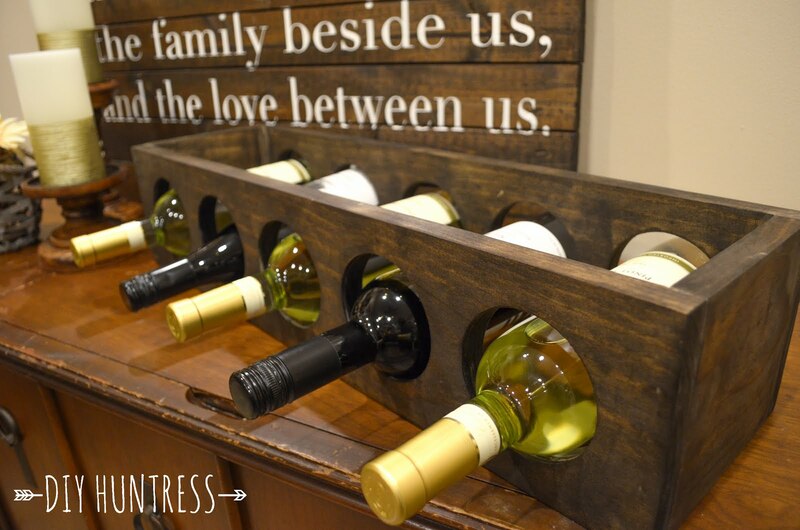 My love for wine has caused a serious collection to grow in my home… and now that it’s holiday time that collection seems to be getting bigger and bigger. So, rather than keep all of my wine bottles stacked on my countertops like a liquor store, I decided to make a simple wine rack from about $15 worth of material for an easier and more appealing way to display my collection. 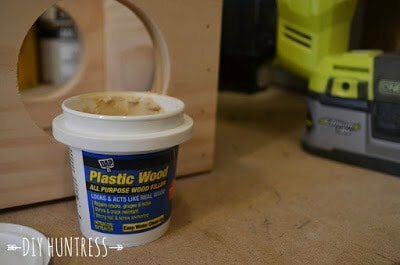 This project was so seriously easy and is a great project for anyone who has wanted to try their hand at some power tools with minimum room for messing up. 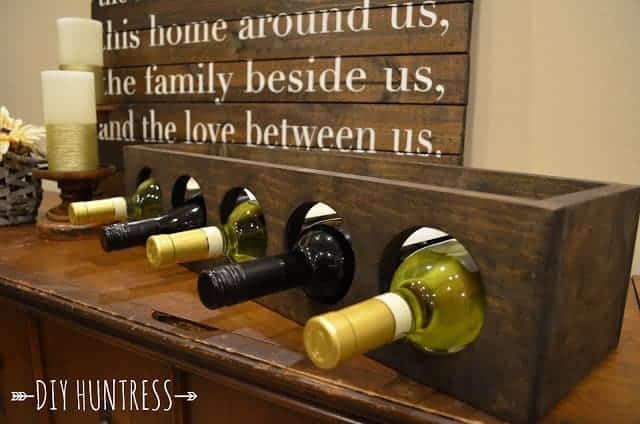 In all seriousness, this project cost me $15 in material… not bad for a custom wine rack, considering similar ones I saw in stores were selling for upwards of $60 – $75! It also took about a full day to make – totally worth it! 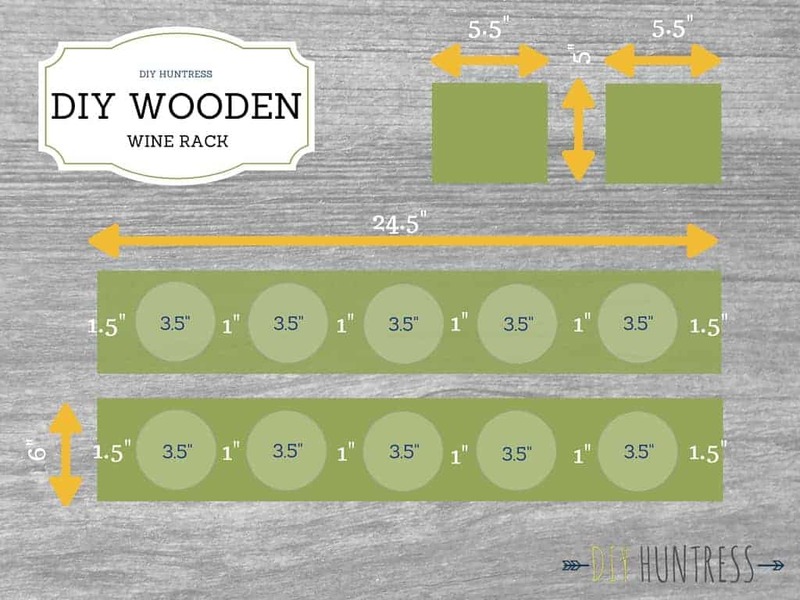 If you want your wine rack to look just like mine, and don’t want to be worded down by the tutorial, you can cut your pieces to the measurements in this diagram and then measure the distance between the 3½” holes (1″ between each hole and 1½” from each of the ends). 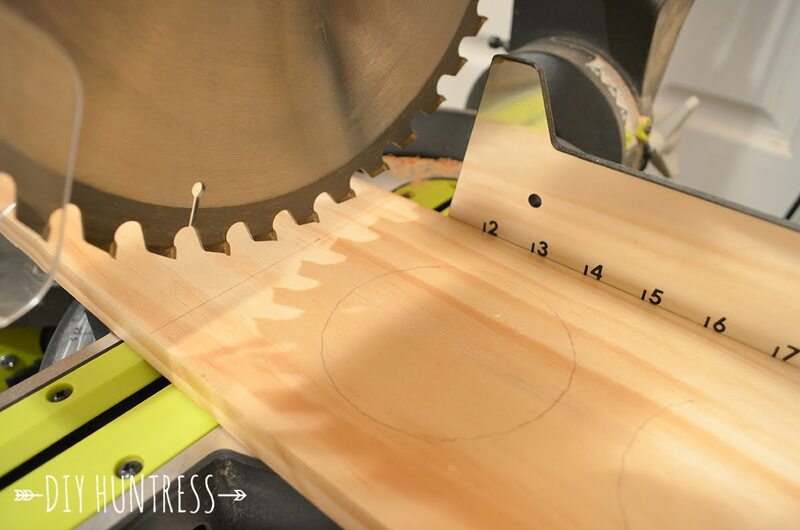 You can then pick up on this tutorial at Step #6 where we’ll be using the hole saw. 1. 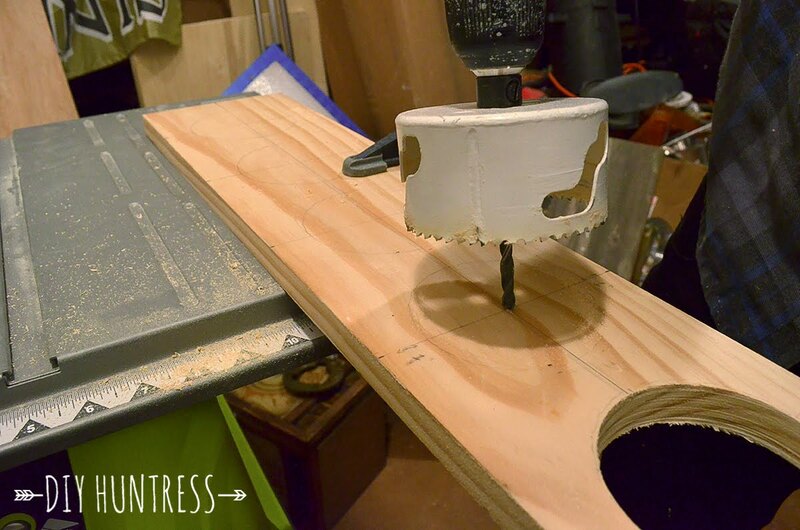 Starting at one end of the board, use your 3½” Hole Saw to trace holes for the rack openings. Begin 1½” away from the end of the board and then place your holes 1″ apart from one another. 2. 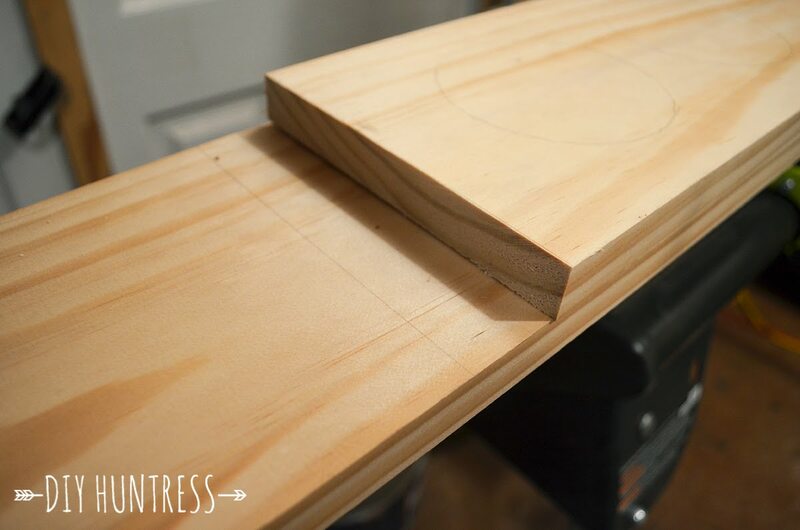 Use your L-Square ruler to create a cut line that is 1½” from the edge of the last hole. This will be your cut line. 3. 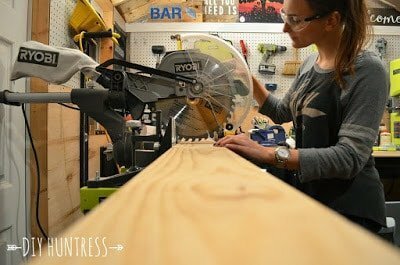 Use your miter saw to cut along the line. 4. 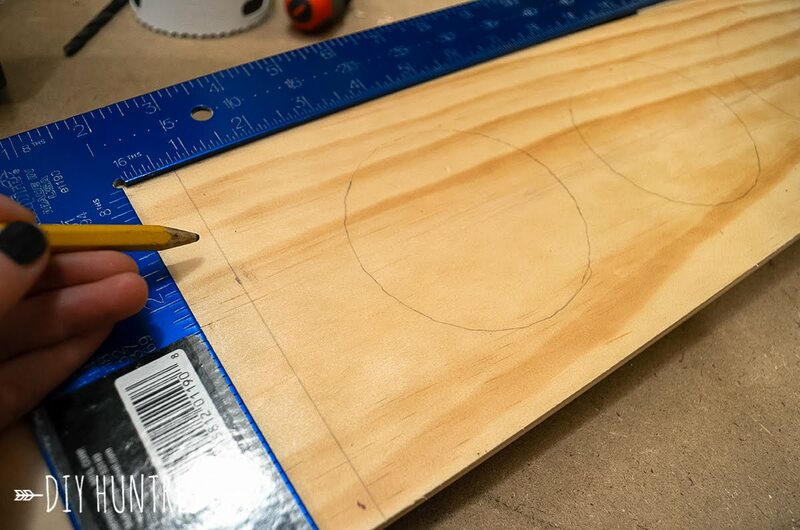 Once cut (and measured twice), use your board as a template to measure the second piece. 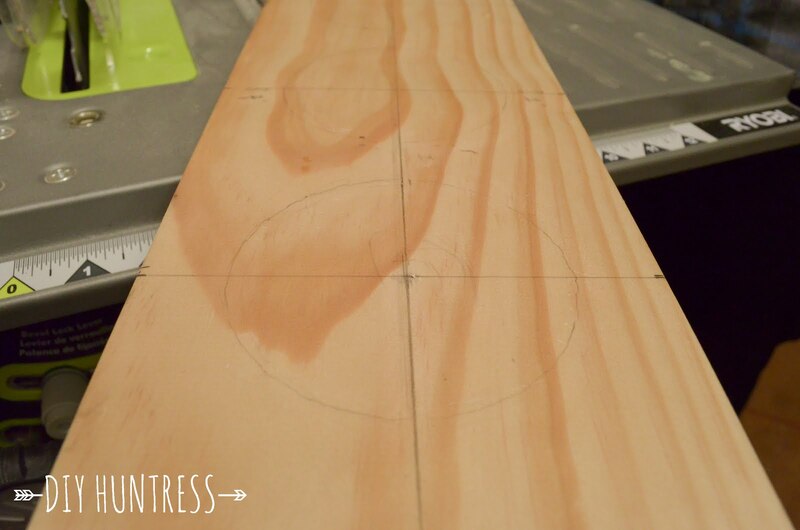 You can line up the cut piece with the end of the original board and draw a line where it ends for easier cutting. 5. 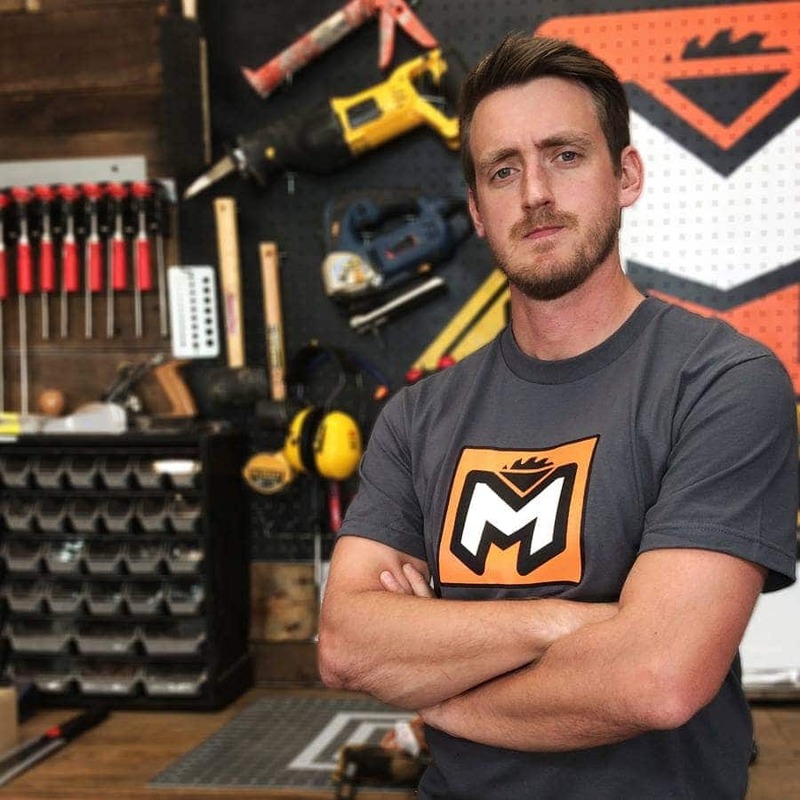 Cut your second piece. 6. Clamp the piece with the traced holes to the edge of a workbench or table top. I used the edge of my table saw for this part. 7. 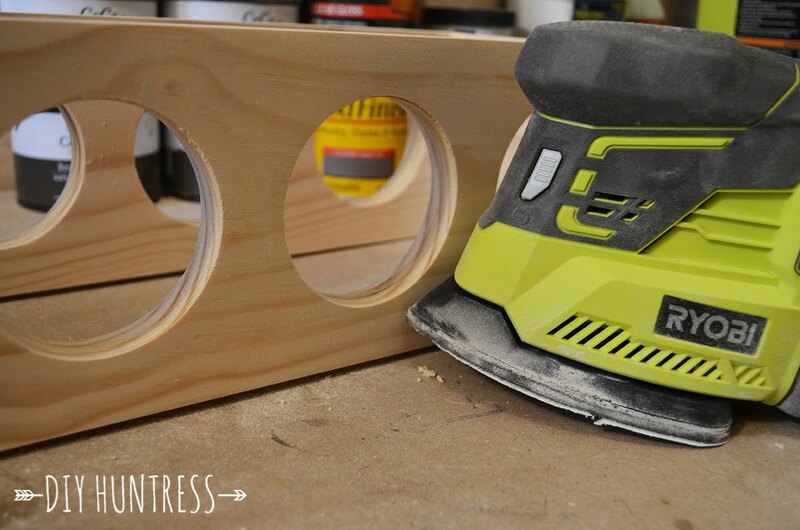 Once clamped, use your L-Square to measure and find the exact center of each hole. 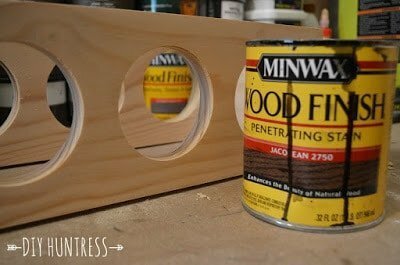 This will help to keep all of the holes in a perfect line. Mark the center of each hole so that you know where to place the tip of the drill bit. 8. 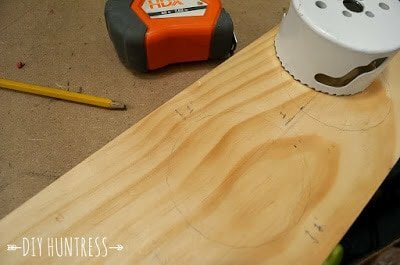 Use your drill or drill press to line up the bit with the center mark, and begin drilling (Disclaimer: A drill press is much easier to use with this project – if you have one, please feel free to use it. 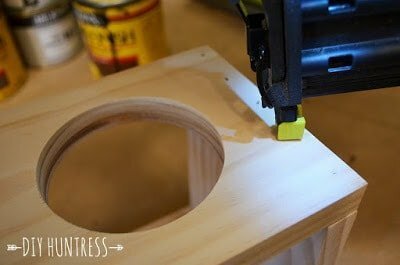 For reader purposes, I chose to use a power drill for demonstration, as it can be completed using basic tools if a drill press is not available to you)! 9. 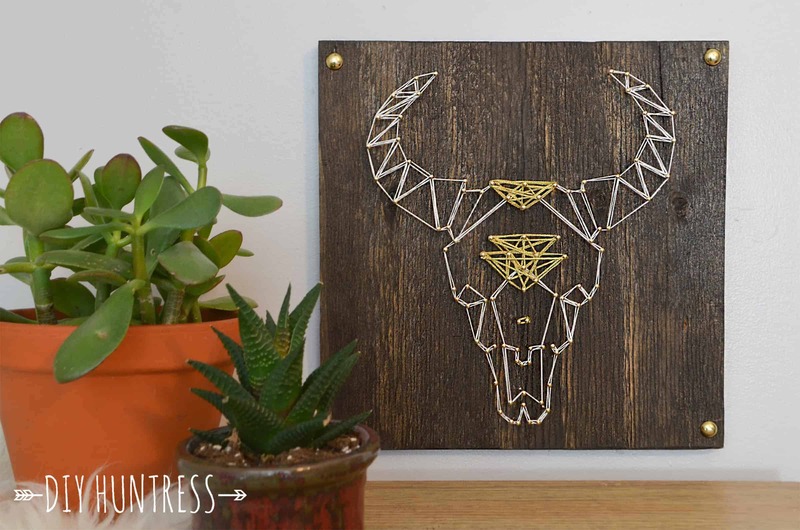 Once the holes in your first piece are drilled, use this piece as a template for the second one. 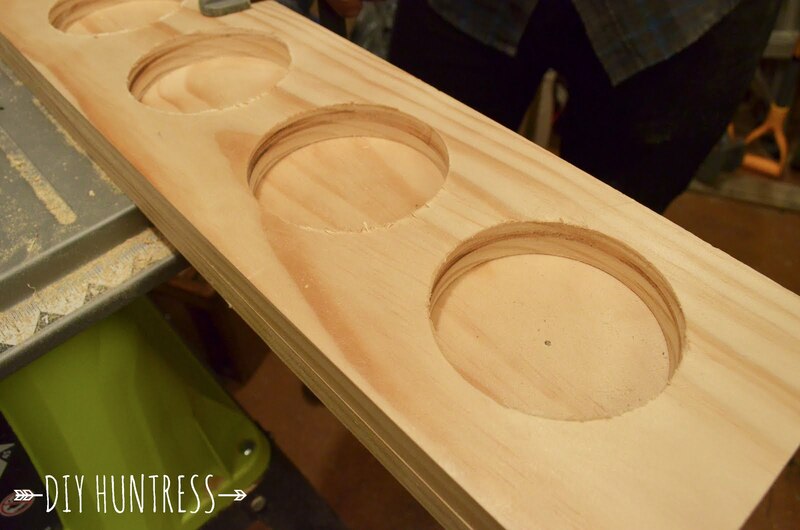 You can trace the holes here and find center without having to re-draw everything. 10. 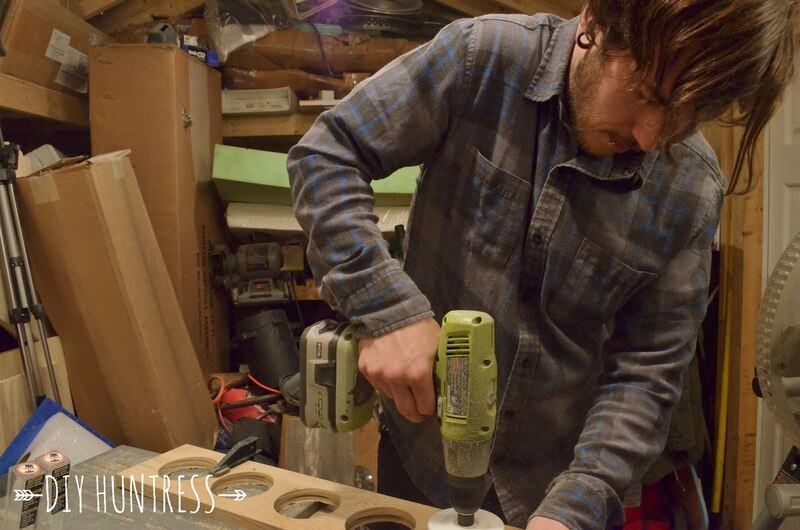 Remove the original piece and repeat the drilling process on the second piece (this was my favorite part because my other half came home from work while I was still building away and helped me out). 11. Once the two face pieces are drilled, it’s time to decide how deep you’d like the wine rack to be. After some measuring, I decided to make mine around 6″ deep. 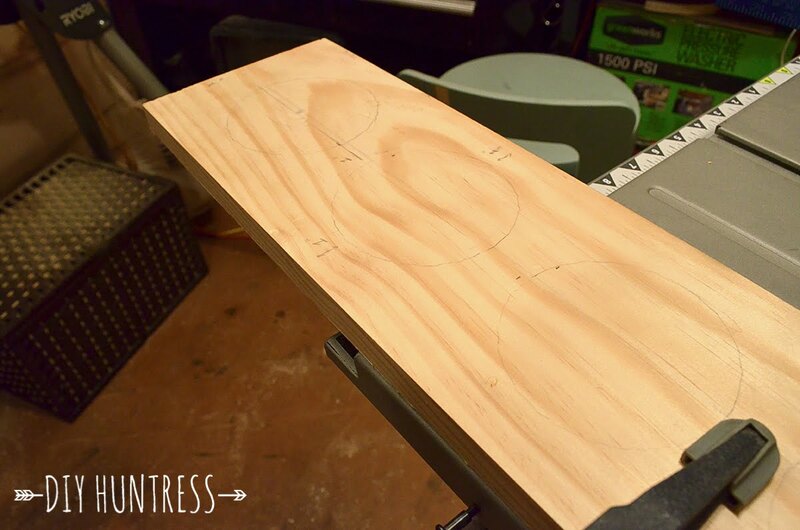 So, I measured and cut two 5″ pieces for the sides (you have to take the 1/2″ width of the two face boards into account when figuring out the depth). 12. 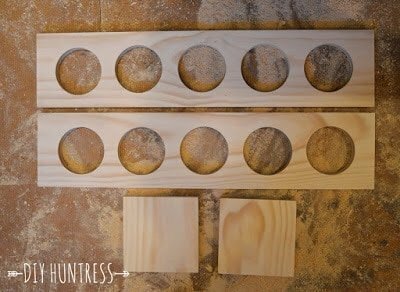 Next, glue the ends of the smaller pieces and clamp them to the larger ones. 13. 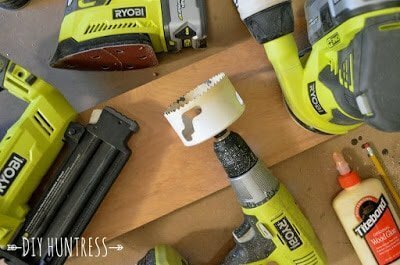 Use your nailer to attach the pieces together. 14. Use a wood filler to hide the nail holes – or you can keep it bare… whichever you prefer! 15. 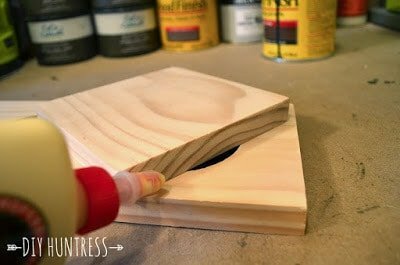 Once the filler is dry, use a sander to give the piece a nice smooth finish. 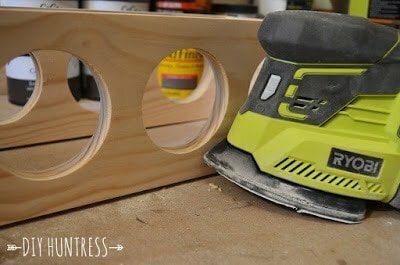 I used my Ryobi Corner Cat to get into the round circles. 16. Finish off your piece with a wood stain. That’s it! Now go fill that wine rack up with your favorite spirits and enjoy! Hi! The rack is a countertop rack, so the bottles are pretty secure. 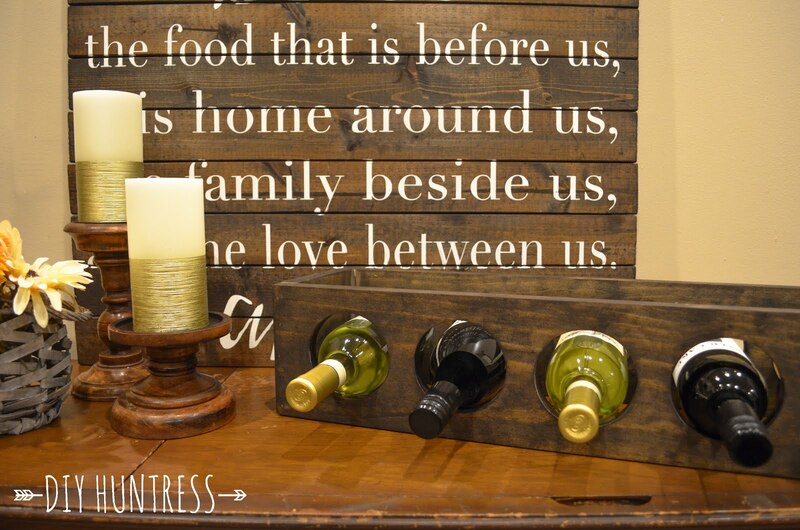 The design is less than 6" wide, so there's plenty of room for the bottles to hang out with room on both ends. I could definitely see it being a little sketchy if hung. There would have to be some extra support added to prevent bottles from tipping out. Thanks for coming to check it out! 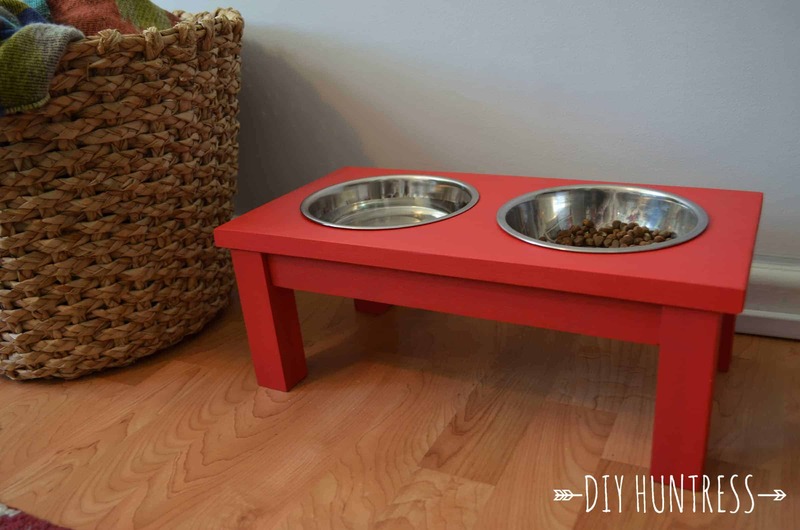 I’m building these right now. Thanks so much for the post!